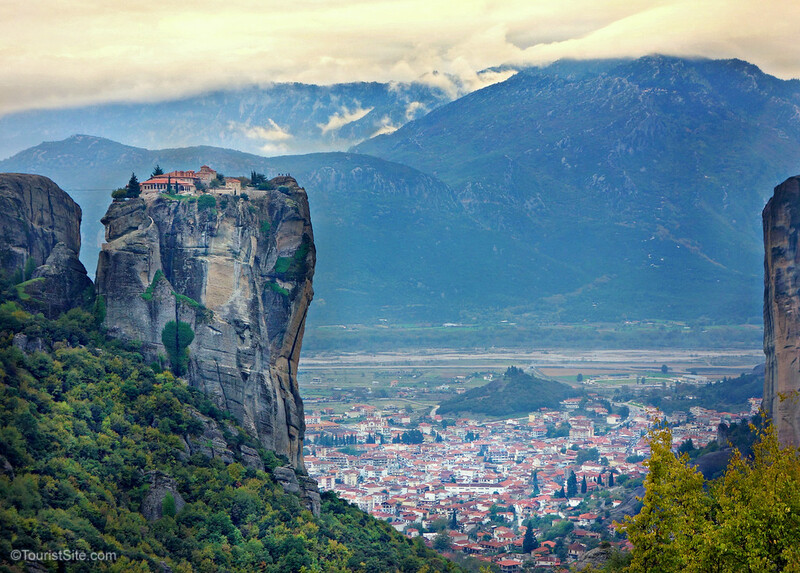 The beauty of Meteora is really on a whole different level! 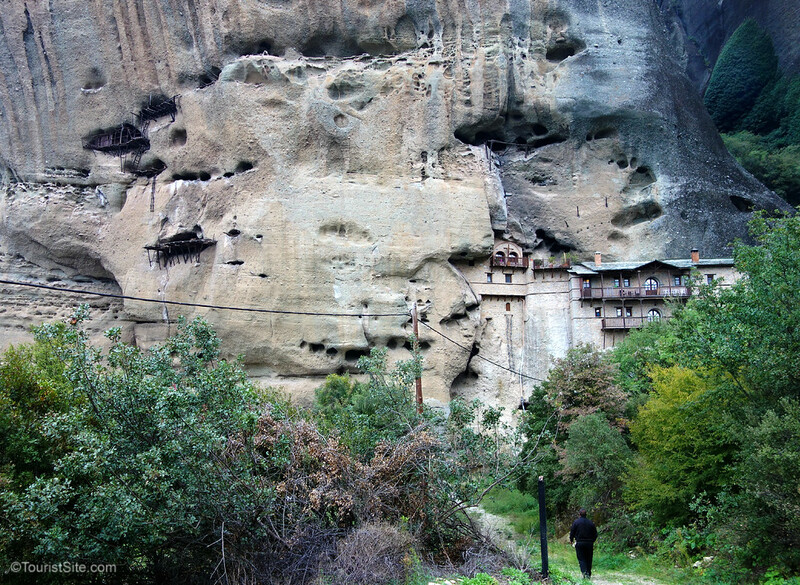 I had the chance to visit during sunset, and do a hiking around it the next morning to see a different side of Meteora. Very gorgeous and definitely a highlight from Greece trip!! 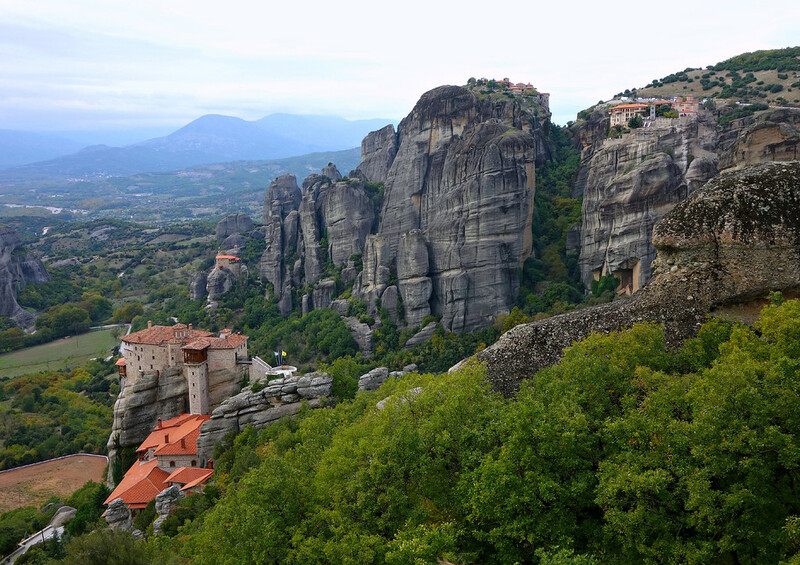 I’ve always dreamed of visiting the Meteora monasteries. It is on the bucket list. Your photos are excellent and gave me a better feel for the reality of the area. Great photos, thanks for sharing this special place with us. Wow! We like traveling off the beaten path but this is UP as well! 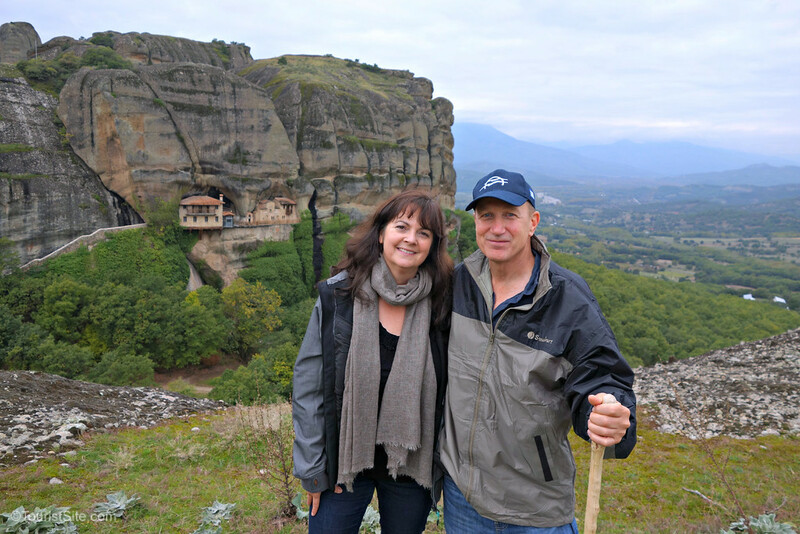 What a stunning place and we can’t wait for our own chance to visit Kalampaka and both the Monastaries at Meteora as well as the Church of the Virgin Mary. Loved your beautiful photos! 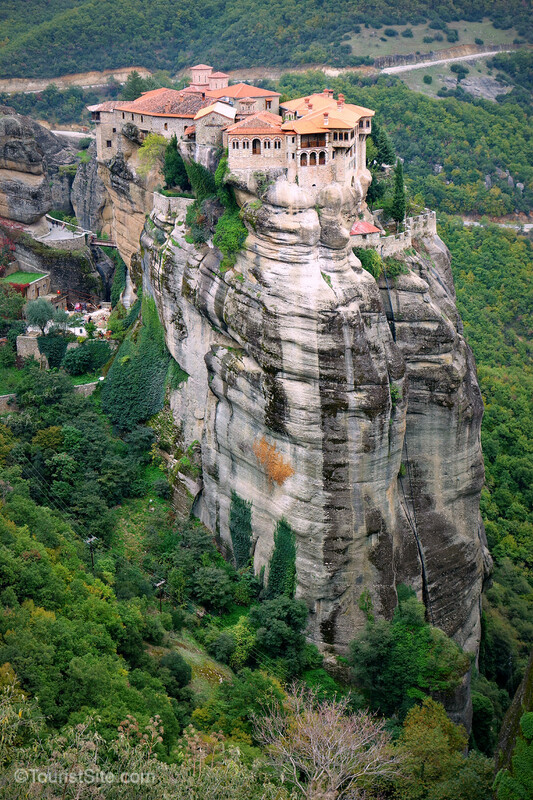 Meteora must be one of the most photographed buildings in the world. I’ve seen it a lot- knew it was a monastery but not it’s name or location. Amazing that you got to hike up there. It was awesome to hike in such a special place! What a marvel to be able to build monasteries of such beauty, at such heights, that have stood the test of time! Thanks for taking us up to the top with you! Nice to see your photos, Shelley. You visited on a brighter day, or did a better job pulling the images out of the gray and fog. It was an amazing place. The sun was almost there now and then, but we would have liked a bit more blue sky. Still, the clouds gave their own mystical atmosphere to the area. Thanks Juergen. I can’t imagine how they accomplished such a feat. Your photos are amazing! What incredible feats of architecture and construction these monasteries are. Truly breathtaking. Thanks for sharing. Thank you Betsy! 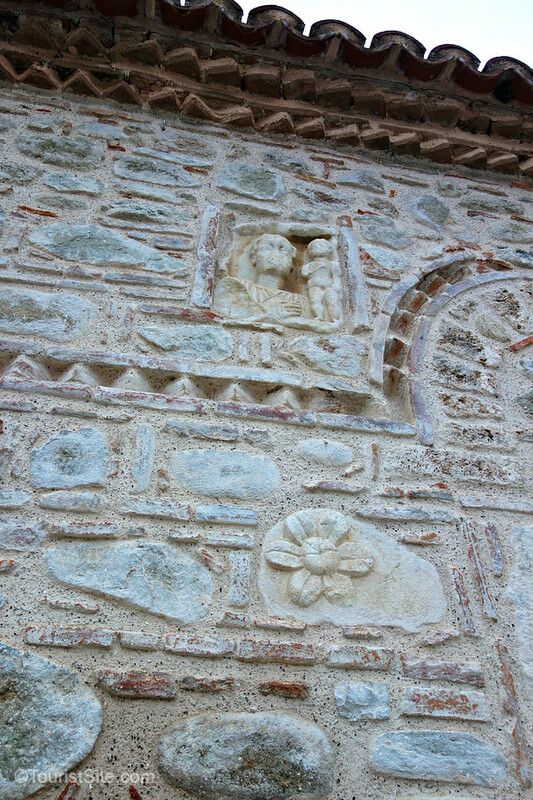 I wish I could see images of how they managed to construct these amazing monasteries. This is an amazing place, Shelley and Darrell. Very nice to share it with us, as this is giving all of us an idea what Greece has to offer. You really wonder how they have built these monasteries on these rocks. It’s even so architecturally beautiful when you see these arches in these buildings. Certainly a place where your teachers never talked about when you were young. 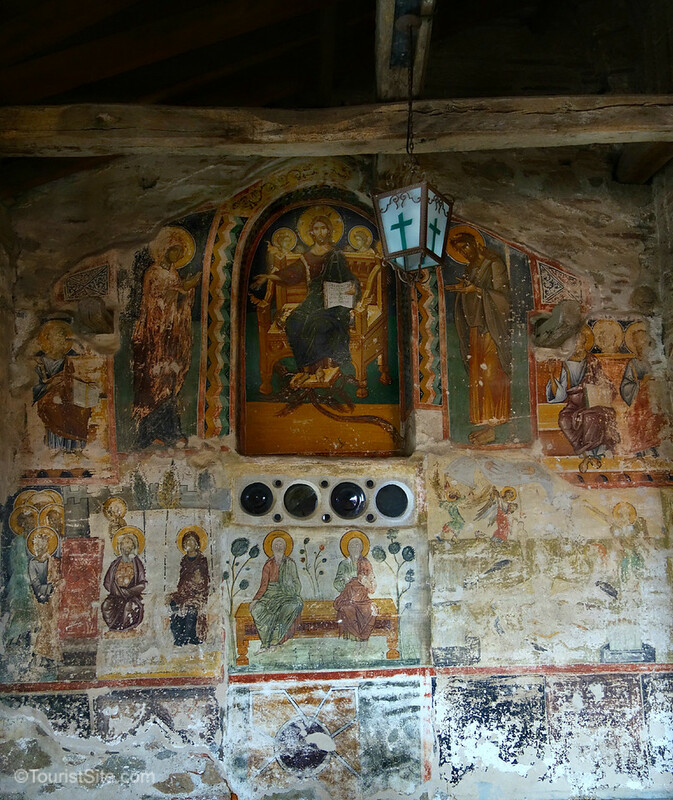 A hidden gem, for sure, and Meteora is place one must visit! Thanks for your comments Ralph. 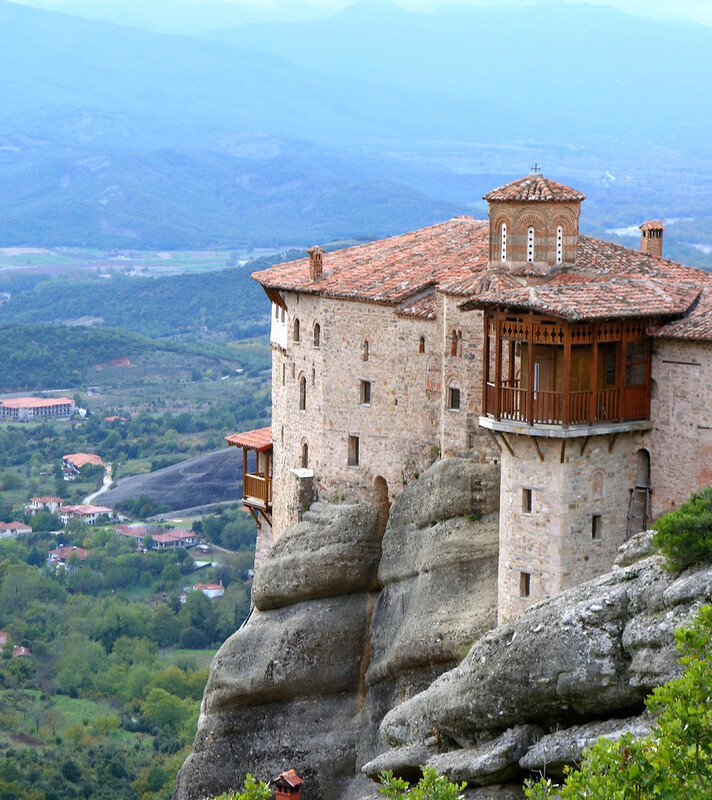 I think you would really enjoy Meteora, with its awesome architecture!